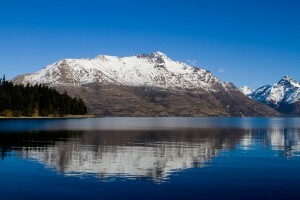 The mountains across the lake at Queenstown. These two posts on Queenstown cover five days, which, in keeping with the previous posts, would be days 15, 16, 17, 18 and 19 of my trip. If you were sticking with the standard Stray bus schedule, you’d normally only get two nights in Queenstown, but most people seem to take extra time here. I had given myself three extra days thinking I would do the Routeburn Track, one of New Zealand’s “9 Great Walks. With bad weather and a lack of transportation infrastructure during the winter season, this was more hassle than it seemed to be worth so I did a few other things instead. 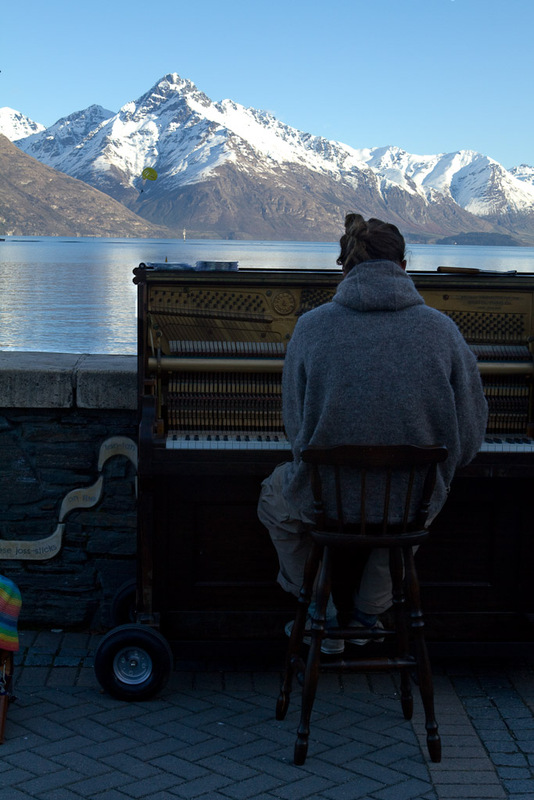 Queenstown Part 1 will focus on our trip there from Makarora, and cover a few aspects of the town including a few sleeping options, Fergburger and the vibe of the city as a whole. Queenstown Part 2 will focus on the various activities available and go into detail on what I got up to while in Queenstown. 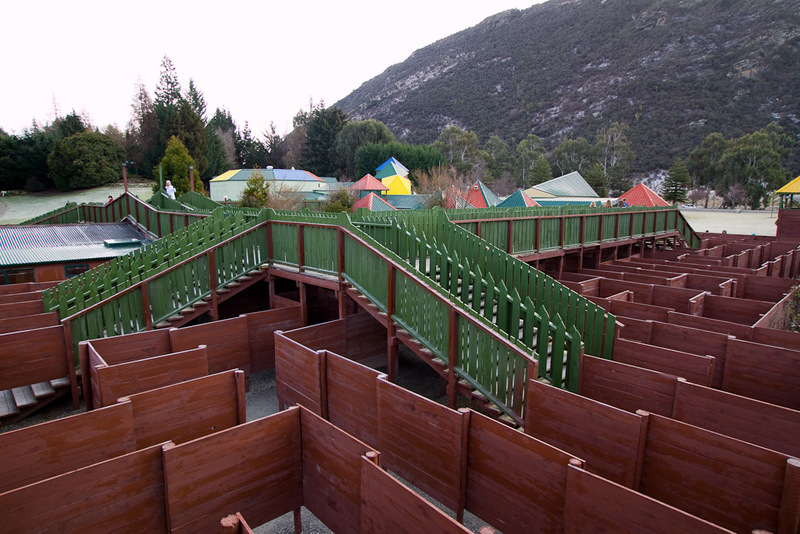 The maze at Puzzling World incorporates the stairs and paths as part of the maze. For the hardest option, you have to find each of four colored towers in a specific order and then exit. 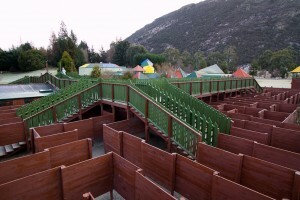 Puzzling world was a small museum/theme park based around puzzles and a maze. You can sit in the café and do puzzles all day for free or you can pay a small amount to run through the maze for an hour and/or go through a funhouse of puzzles. We found the funhouse interesting and had a good time racing through the maze. 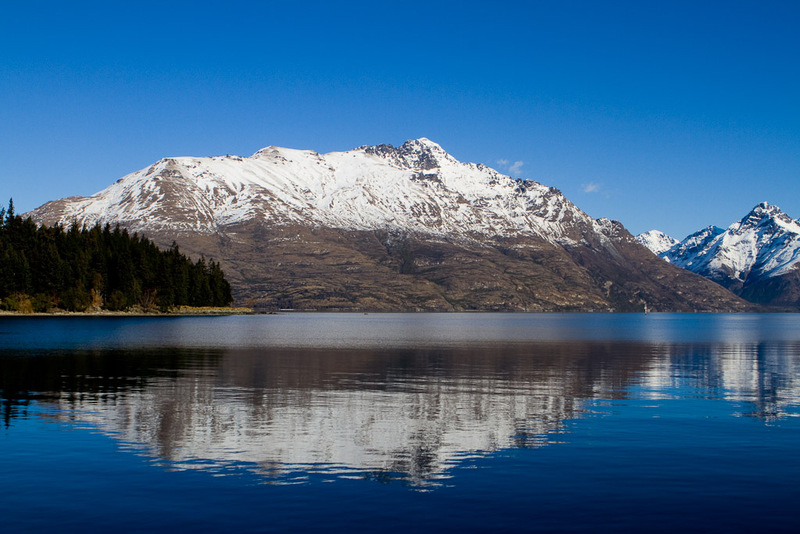 The alternative to getting off at puzzling world, if that isn’t your thing, is a trip to the town of Wanaka. The Kawara Bridge Bungy outside of Queenstown, run by AJ Hackett. Photo provided by AJ Hackett. 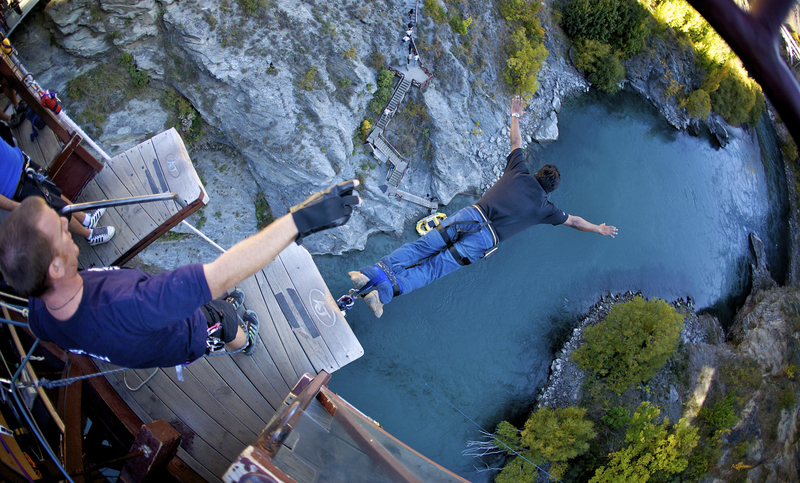 Just before the bus arrives at Queenstown, it pulls into the site of the Kawarau Bridge Bungy, the home of the original bungy jump. AJ Hackett runs bungy jumps around the world, but this is where it all started. Once we’re in, the group goes through a quick seven-minute film about bungy jumping and then a bit about how it all works. That whole process takes about ten minutes and then the brave step forward to jump. Only one of our group was up for it and we waited for about an hour before he took his leap. While we were waiting, others signed up for other AJ Jacket run activities local to Queenstown – namely the Nevis Bungy, a 134 meter jump and the Nevis Swing, a giant swing 160 meters up in a 300 meter arc. Crazy. A busker plays piano by the lake in Queenstown. We arrived in Queenstown with most people checking into Nomads, one of two major chains of backpacker accommodation in New Zealand. I opted for a room with Base to be a little closer to town and get away from the Kiwi Experience travelers. There are a few other backpacker options you can look into as well, but just pick a place to stay that’s clean, comfortable and as quiet as you can get it. Base Queenstown worked well for me. If your time in Queenstown is anything like mine, most of your days will be filled with activities and your nights filled with drinking and pub crawls. Of note, World Bar does food deals for Stray and also occasionally offers a $1000 bar tab starting at a certain time and requiring a password. 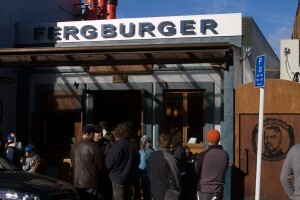 For food options, I can’t recommend Fergburger highly enough. Our guide, Nana, suggested “The Codfather”, pieces of deep-fried cod and other fixings eaten as a burger and it was great. Even better is Fergbaker, a new option on the scene offering delicious pies and other baked goods. The only thing you have to watch out for at both of these spots is the queues. 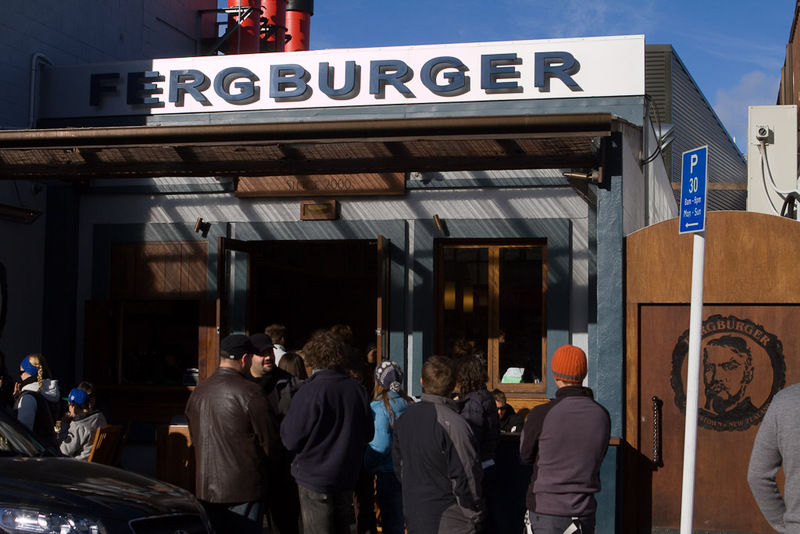 Fergburger in Queenstown serves up some amazing burgers and munchies. It's also open very late, catering to the party town. Being the home of adrenalin sports and activities, Queenstown has a lot to offer for people willing to lay down some cash. 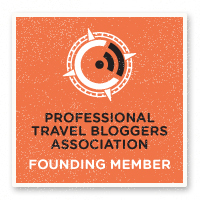 Some of the activities I’ll be covering in the next post include skiing/snowboarding, skydiving, bungy jumping, canyon swinging, river rafting and more.